RIFT’s Public Test Shard (‘PTS’) was updated on the 9th September 2015 with a 341mb patch. Mainly a reduction in stats for the new tier of Illustrious/Magnificent runes as well as a few other tidbits. Rune Stat Adjustment. Illustrious/Marvelous Runes have had their stats lowered. Dancing Yeti. Find this dual-use item in Sanctum/Meridian. Wardrobe Additions. MTX Costume Bundles and Primalist’s Maul. 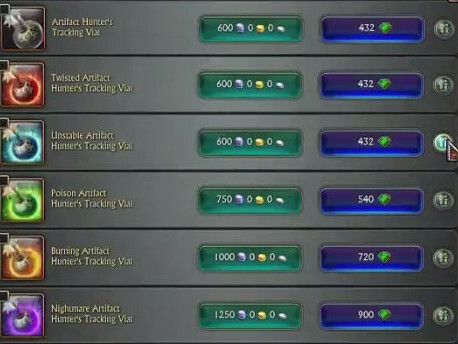 Artifact Hunter’s Tracking Vials. New Poison, Burning and Nightmare vials. Tooltip Adjustments. Multi-use abilities have had their tooltips merged. There’s an across-the-board change to the stats of the new tier of runes (Marvelous/Illustrious) coming in 3.4. There’s been a decent reduction in the stats, probably to reflect the change in cost from (relic) Dreaming Rune Amenders to (epic) Opaque Rune Amenders in the previous update. There’s a fair drop to some of the stats, such as with the Magnificent Twin-rune of Wisdom which drops from 400 WIS to 248 WIS. It’s similar for the other classes. Note that Earring rune stats have not changed. That said, their cost hasn’t changed either (still using Dreaming Rune Amenders). It could be that they’ve just not been updated yet. I’ve kept the old 30th July stats in a separate Archive sheet you can view in the tabs at the bottom of the spreadsheet. Bug: Magnificent Wrathful Rune has +57 AP instead of +49 like other classes. Illustrious Weapon-rune of Endurance has been added to the upgrade trainer. (1-handed END rune). There’s a new ‘Dancing Yeti’ item that you can obtain from Far Travelling Merchants in Sanctum and Meridian. This is a dual-use item that can either summon a dancing Yeti in the open world or added to your dimension, similar to the Dancing Partner items from Planetouched Wilds artifact sets. No preview, but just imagine a dancing yeti. 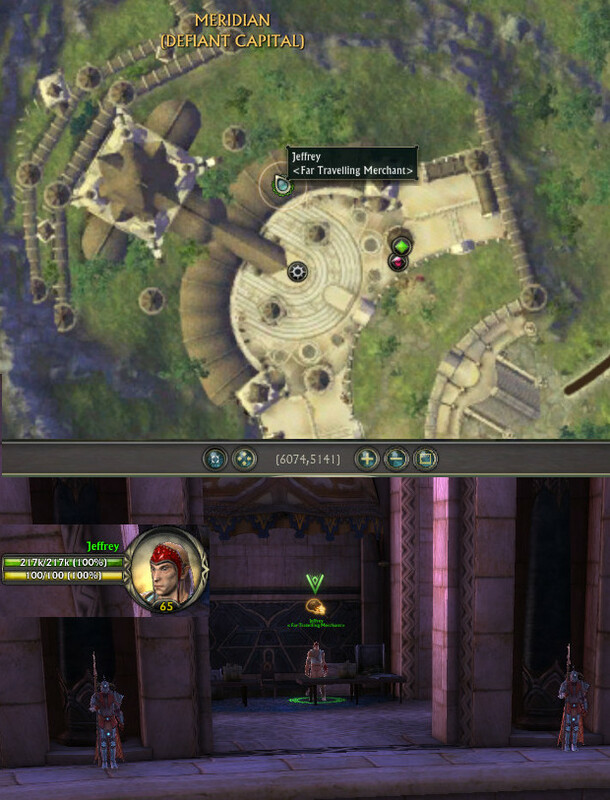 Lucy is the merchant you’ll need to find in Sanctum for Guardian players. She’s located at /setwaypoint 7520 2997 close to one of the auctioneers on the island. Jeffrey is the merchant for Defiant players, located in Meridian at /setwaypoint 6074 5141. He is located on the outside of rim of the main building. Two additions to Wardrobes popped up with the latest update. Strangely, there’s a whole bunch of ‘MTX Costume Bundle’ items that cost 1 silver under RIFT Store -> Wardrobe. They aren’t new items (mainly Storm Legion bundles). Not sure what they are doing there. We already have the Frozen Eclipse (purple) armor bundles on the Store, although I guess we don’t have the Green version of the Myrmidon’s armor sets as bundles yet. So, these bundles will probably pop up at some point in the future (with non-placeholder names, of course). There’s also a Primalist’s Maul that has been added in, which is a two-handed hammer. There’s now Poison, Burning and Nightmare Artifact Hunter’s Tracking Vials. No clue yet if using them will apply the damage-over-time debuff on you, or if you get to bypass them. Although they are only available for Credits on the RIFT Store, they do seem to have a platinum value from Callweddi, Planetouched Wilds. Poison, Burning and Nightmare Artifacts will be obtainable in the Planetouched Wilds zone. You can search the sets under Character -> Artifacts using “Poison:”, “Burning:” and “Nightmare:”. All tooltips that have multiple possible effects have had a slight UI adjustment so that instead of 3 separate tooltips, they’ve all converged into a single tooltip. For instance, some tooltips like the Mastery abilities Soul Stream and Vicar’s Bulwark have had their multiple tooltips collapsed into one (without the extra space). On Live they show both tooltips at once so the new version is simply saves some space on the screen by combining the two. Other tooltips have combined their separate tooltips into one. For instance, the Cabalist’s ‘Curse of Solitude’ ability only displays one of the tooltips on the left, based on which Obliteration buff you have on at the time. On PTS they’ve combined all three tooltips into one. This makes it so that you don’t have to change obliteration buffs to figure out what each version of the ability does. 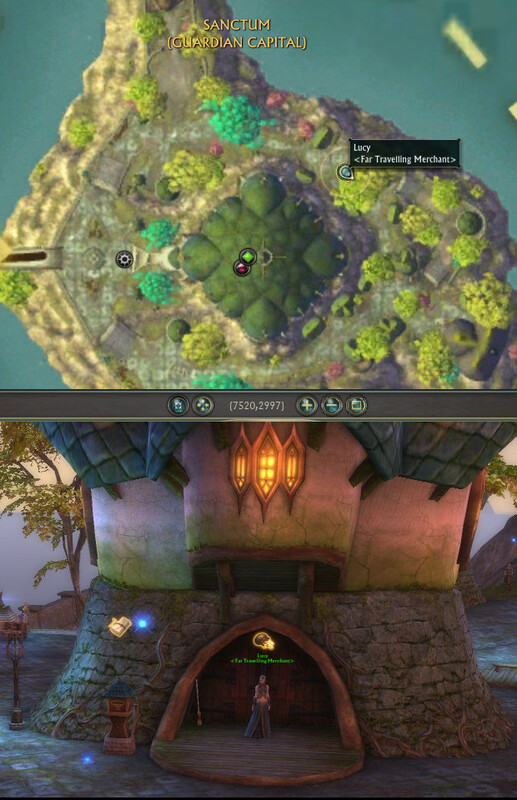 It does, however, increase the amount of space the tooltip takes on the screen. The same changes have been applied to other multi-use abilities or those affected by certain buffs. Relatively small update, no doubt putting some further touches to the Planetouched Wilds zone before this Friday’s open testing. There’s also reductions for the stats of the new tier of runes and some other minor additions.